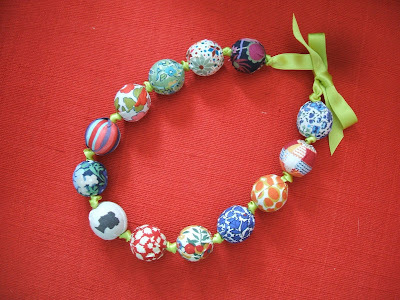 3/4″ wood beads covered with an assortment of vintage Liberty of London fabrics. If I’ve declared it once, I’ve posted it as my blog mantra. Fashion is ubiquitous, even the practicalities of soap can be divine. Each colorful bar is smartly wrapped in vintage French illustrations and scented with loveliness. Use them for your next bathing.